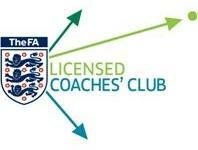 Anyone can attend this FALCC event, but only Level 2 & 3 coaches will gain CPD Hours for their FALCC Membership. These FALCC hours will count towards the 2018-19 season only (1st August 2018 - 31st June 2019). Utilising the England DNA, this workshop will explore game based practices to challenge players with their physical and technical development in order to allow them to prepare for the long season ahead.